JAKARTA (Reuters) -- Nissan Motor Co. said on Tuesday it aims to double its car production and market share in Indonesia by 2013, as strong demand in Southeast Asia's largest economy drives domestic sales. CEO Carlos Ghosn said Indonesia has the potential to become a regional car export manufacturing base if it improves its infrastructure, but said Nissan was not planning to relocate plants from Southeast Asian auto hub Thailand despite recent violence there. "Most of the capacity that we will be building in Indonesia mainly is for Indonesian needs. We are expecting very strong growth of Indonesia's market and we want to dedicate most of our capacity to Indonesia," Ghosn told a press conference in Jakarta. 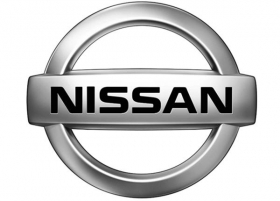 Nissan plans to produce 100,000 cars at its Indonesian plant in 2013, with investment of $20 million, and lift its market share to above 10 percent from five to seven percent currently. Ghosn said Nissan's Thai manufacturing was at full capacity. Indonesia is expected to see record car sales this year as its economy is seen growing around 6 percent. Domestic consumption is rising on the back of strong exports of commodities such as coal, coffee and palm oil. "Indonesia has a potential to become an export base on the condition that infrastructure be developed, because if infrastructure is difficult, the logistical costs are not competitive, that's the main problem today," he said. Indonesia's government expects the country to be producing a million cars a year in five years, Ghosn said, up from around 600,000 in recent years. Turning to China, Ghosn said labour strikes will not affect Nissan's strategy in China given the size of its car market.